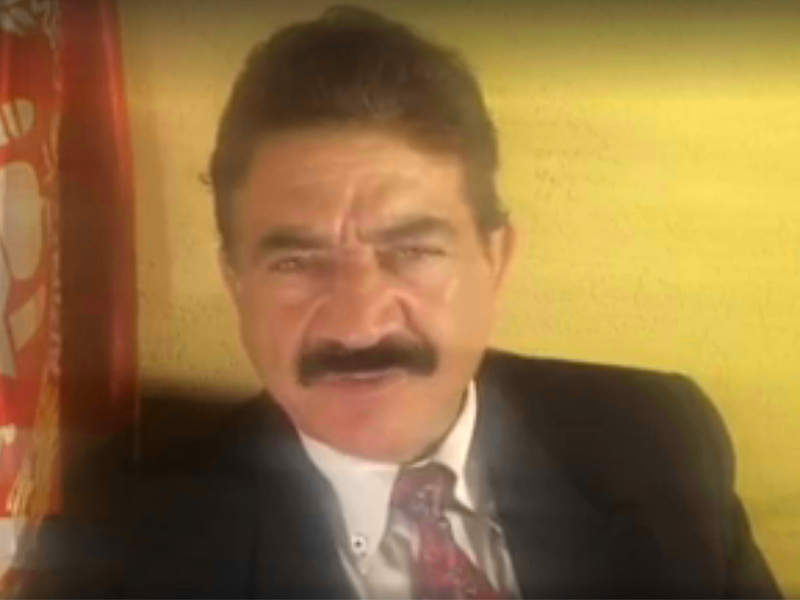 What has the Orlando gunman's father said? The Orland gay club gunman's father has well-known anti-American views and is an ideological supporter of the Afghan Taliban. A new message posted by the father on Facebook early Monday morning also makes it clear he could have passed anti-homosexual views onto his son. Seddique Mir Mateen, father of Orlando gunman Omar Mateen, who died in a shootout with police after killing at least 49 people early Sunday morning, regularly attended Friday prayers at a Florida mosque with his son. In the video posted early Monday, Seddique Mateen says his son was well-educated and respectful to his parents, and that he was "not aware what motivated him to go into a gay club and kill 50 people." The elder Mateen says he was saddened by his son's actions during the Muslim holy month of Ramadan. He then adds: "God will punish those involved in homosexuality," saying it's, "not an issue that humans should deal with." The statement, and previous videos by Seddique Mateen, lend some insight into the environment in which his U.S.-born son was raised. Seddique Mateen hosts a program on a California-based satellite Afghan TV station, aimed at the Afghan diaspora in the in the U.S., called the "Durand Jirga Show." A senior Afghan intelligence source tells CBS News correspondent Lara Logan that the show is watched by some in people in Afghanistan but the primary audience is ethnic Pashtun Afghans living in the U.S. and Europe. The Taliban Islamic extremist movement is comprised almost entirely of Pashtuns, and Mateen's show takes a decidedly Pashtun nationalistic, pro-Taliban slant; full of anti-U.S. rhetoric and inflammatory language aimed at non-Pashtuns and at Pakistan, the source told Logan. The name of the show references the Durand line, the disputed border between Afghanistan and Pakistan that was established in the 19th century by Britain. It has long been at the heart of deep-seated mistrust between Afghans and Pakistanis. Seddique Mateen once campaigned in the United States for current Afghan President Ashraf Ghani -- seen as a moderate leader -- who appeared on his program in 2014. But since then Seddique has turned against Ghani in both his broadcasts and numerous videos posted to a Facebook account. In his Facebook videos, the alleged gunman's father has often appeared wearing a military uniform and declaring himself the leader of a "transitional revolutionary government" of Afghanistan. He claims to have his own intelligence agency and close ties to the U.S. Congress -- assets he says he will use to subvert Pakistani influence and take control of Afghanistan. After watching his videos -- none of which were recorded in English -- CBS News' Ahmad Mukhtar said it seemed possible that Seddique Mateen is delusional. "He thinks he runs a government in exile and will soon take the power in Kabul in a revolution," notes Mukhtar. The younger Mateen, suspected of the killings in Orlando, was said by his ex-wife to have suffered from mental illness. She said she left him just months after they were married as he appeared to suffer from a mood disorder and would become violently abusive and controlling. Speaking later Monday to the Associated Press Television News, Seddique Mateen stressed that he did not in any way support his son's actions, say he "would have arrested him myself" had he known of plans to commit mass murder. He told APTN it was a "painful" time for him as a father. He did not make any remarks regarding his or his son's stance on homosexuality. ISIS has claimed responsibility for the attack in Orlando, lauding "brother Omar Mateen, one of the soldiers of the Caliphate in America," for the killings. Thus far, however, there has been no indication that Mateen had any tangible connection to the terrorist group prior to the shooting spree.